TRUE is the default parameter value for the majority of platforms. These parameters enable or disable the operating system's asynchronous I/O facility. 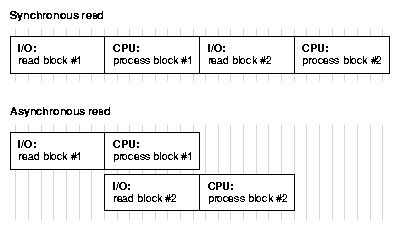 They allow query server processes to overlap I/O requests with processing when performing table scans. Asynchronous operations are currently supported for parallel table scans, hash joins, sorts, and serial table scans. However, this feature can require operating system specific configuration and may not be supported on all platforms.